---- OR ---- Click checkbox to add Instructions. Regularly $10 retail and $9 practitioner, Now 15% OFF! Please Register and/or Sign In to view Discounted Prices and Purchased Items. * Creating and Using Custom Labels what does create and use custom label mean? 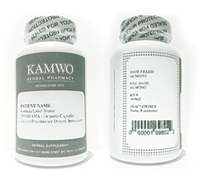 Kamwo replaces the Manufacture's label with a Rx label with custom info entered by practitioner. why should I create a custom label? Manage patient dosing by specifying number of refills. Prevent patient from self-medicating (without practitioner consultation) by buying medicine with manufacture label. Add retainer (for practitioner effort) with a total price that is above product's retail price. PATIENT NAME: The name of the patient whom this product is intended to be used by. Formula Label Name: Name of the formula used in the prescription. Unit Size: Size of the prescription, based on grams and the number of bottles. Custom Practitioner Dosing Instructions: Choose from preloaded instructions or create your own set. Date Filled: The date that the prescription was filled for the patient. Expiration Date: The date that the product is best used by. Rx Number: Number allocated with the prescription. Practitioner Name: The patient's prescribing Practitioner's full name. 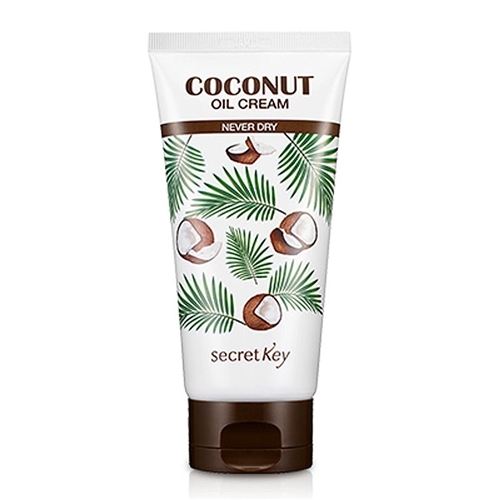 SECRET KEYs Coconut Oil Cream has a soft melting texture and effectively moisturizes the epidermis of the skin to prevent the appearance of dryness and flaking. Eliminates dry skin, stimulates cell activity and relieves fatigue and stress on the face or body. Leaves no sticky or greasy residue.